In order to save energy and maintenance costs the lighting of metro and light rail stations can be switched off during closing hours. However, they are safety concerns as the safety of enclosed passengers or intruders must be guaranteed. The implementation of motion sensors combined with the existing technology for switching the stations lighting has allowed RET to overcome this safety issue. Guarantee the safety of people in the stations under all circumstances and at all times. Motion sensors have been placed on the platforms of every station and near the entrances. 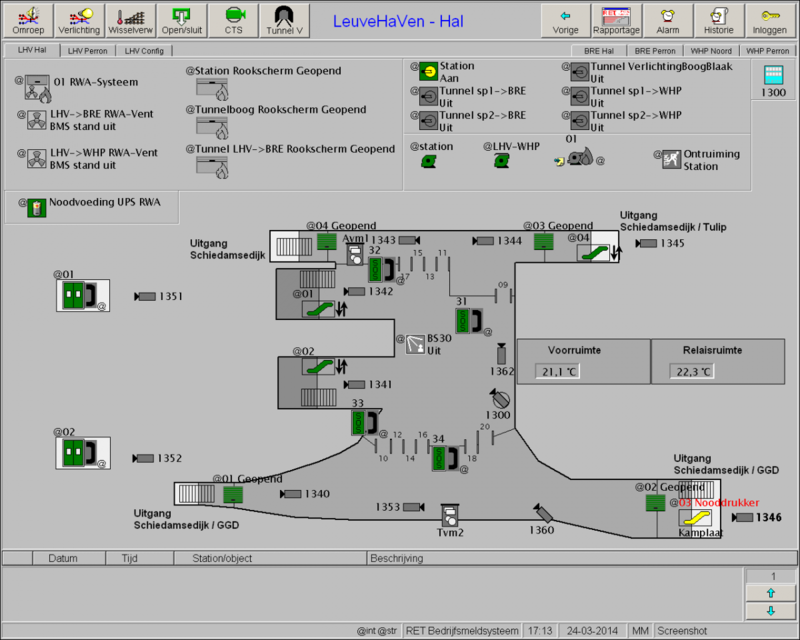 The sensors are only active during the closing hours of the station. In case of a detection of movement the lighting is switched on in the station and an alarm is triggered in the central control room. The control room operator has a direct access to the corresponding CCTV in order to take the appropriate measures.The station lighting must be switched off manually at all times to make sure no one has remain enclosed in the station. This is only possible when all entrances to the station are locked. In stations located above the ground, motion sensors are not needed. 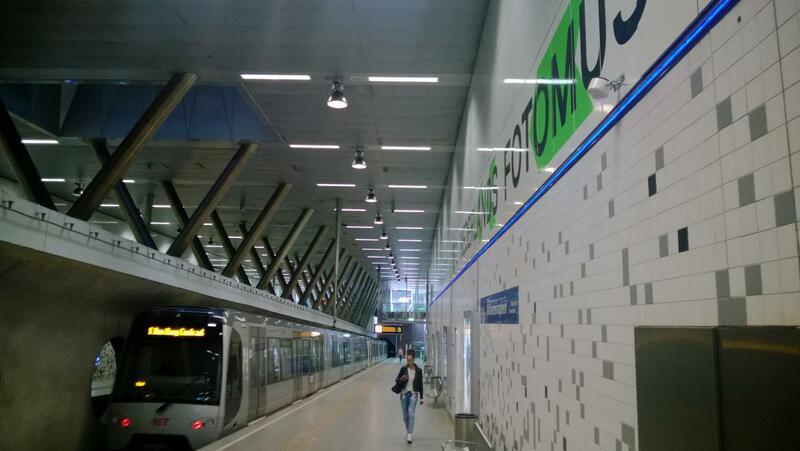 The lighting is switched off during closing hours but there is enough light from the surrounding area to guarantee the safety of people in the stations. Brück Electronic GmbH - Luxomat PD4-M 24Volt. The total budget for implementation of motion sensors in all underground stations was €202,000 : €115,000 for the contractor and €87,000 of internal costs for RET. The installation of movement sensors was completed in June 2013 and the lights can be switched off at night in the 16 underground stations. By limiting the hours the lights are on, the lights can last about 20% longer. All entrances to the station must be locked in order to switch off the lighting. In a few stations the locking of the entrances was not detected thus making it impossible to switch off the lights. It is possible for an operator to overrule this condition and to switch off the lighting even if the entrances are not locked. In practice, most operators find this too difficult and thus leave the lighting on the whole night. Maintenance works can also be scheduled at night on certain parts of the network. Operators sometimes switched on the light on the whole route, which was useless. As a result, the awareness of the operators has had to be raised on these issues to prevent unnecessary energy use.